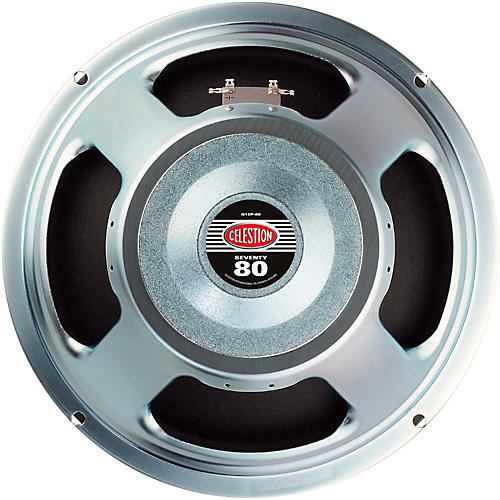 The Seventy 80 is one of Celestion's most popular speakers. It is an adaptation of the Classic Lead, offering a pleasing lift in the upper frequency spectrum, solid bass, and plenty of midrange. 80W power rating.